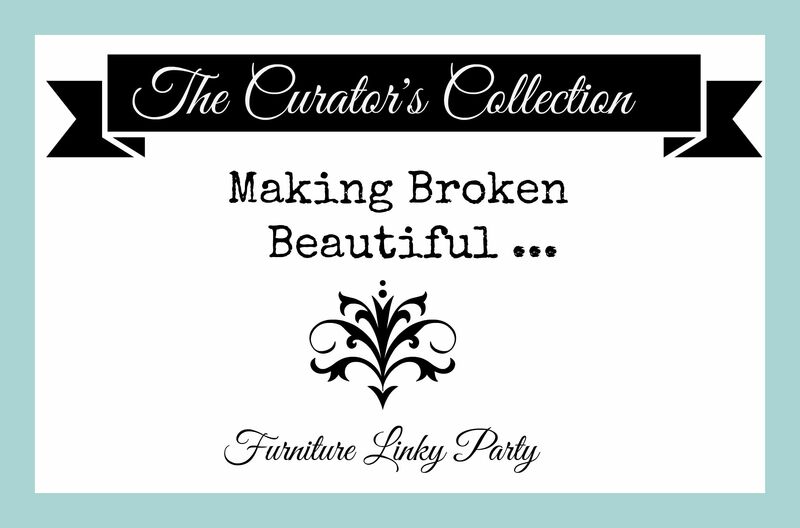 Making Broken Beautiful | No. 15 All Things Christmas! Happy Thursday everyone! This week I thought it would be fun to start inspiring some Christmas spirit. I am looking to you all for some inspiration to get me in the mood to decorate for the holiday! Please feel free to link up any and all things to do with Christmas. It could be a craft, recipe or just share how you have decorated your home or tree. Of course Furniture Makeovers are my favourite so please don’t leave those out!!! 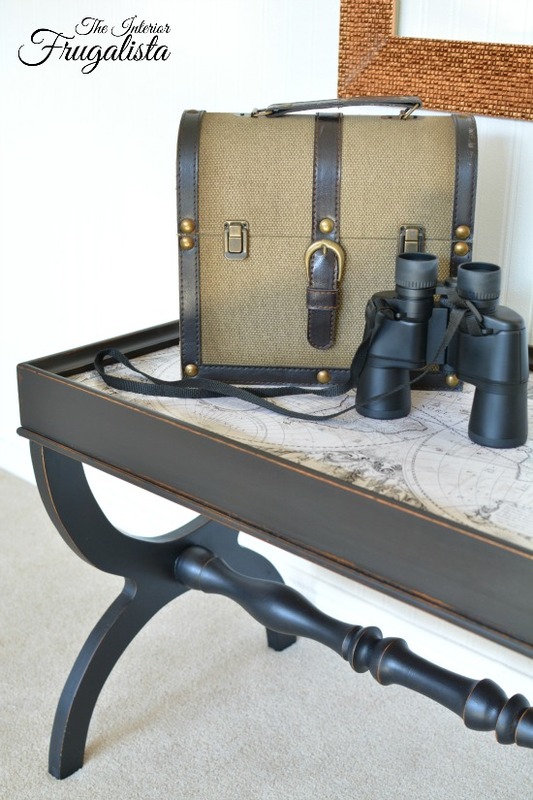 Marie from The Interior Frugalista shares how she created this Map Table using Country Chic paint. Loving the look Marie! 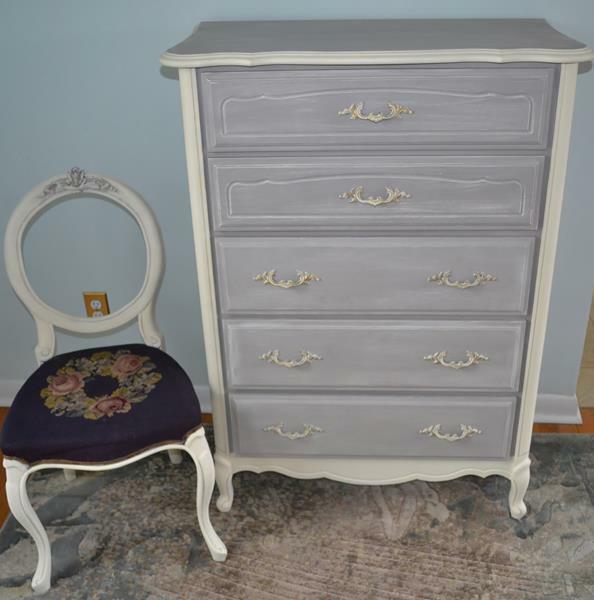 Up With Furniture Shared this pretty French Provincial Dresser … I’m smitten with that little chair too! In the spirit of getting in the mood for Christmas decorating, The Uncookiecutter shared the how to’s on making this Industrial Branch Christmas Tree and lighted wall. Soooooo easy and soooooo pretty! You should really check it out. So … the usual rules for this party have been cancelled for this week! It’s time to link up All Things Christmas! Thank you so much for “Making Broken Beautiful”. Have a great day, Terry. Thank you sooooooo much for joining in Mary! I loooove your work! Thank you! Actually we celebrated Thanksgiving in October as I am Canadian, but thank you for the well wishes just the same! I hope you had a lovely Thanksgiving as well :0)! Thank you so much Terry for featuring my Black Old World Map Table this week – you made my Black Friday! Have a great weekend. You are so very welcome Marie! You have a great weekend too! Thanks for featuring my dresser. I enjoy your site. You are so welcome! You deserve it!